This post was written in the immediate aftermath of the 2010 conviction of Curtis Flowers in a Winona, Mississippi courtroom. Now that the justices of the Mississippi Supreme Court are considering how to respond to this unprecedented case, a re-examination of the basic issues is in order. Who is Curtis Flowers, and why has he been tried six times on the same facts without a final conviction? In June of 2010, a forty-year-old black man was convicted of killing four people in cold blood and sentenced to die by lethal injection. His name is Curtis Flowers. Stories of black men sentenced through a perversion of justice cram the in boxes of CNN, NPR, the New York Times and the like on a daily basis. It is a quintessentially America story, but it is also without parallel. Curtis Flowers is the only capital defendant in American history to be tried six times on the same evidence. The first three convictions were overturned due to prosecutorial misconduct; in the fourth, five black jurors held out for acquittal. Trial five also ended in a hung jury, with the single black juror who refused to side with the majority accused of perjury. The sixth trial yielded the sentence of death and is now before the Mississippi Supreme Court. The inability of the State of Mississippi to link Curtis Flowers with the evidence. The facts and process of a highly inept investigation. The implied threats, false promises, and bribery used to elicit eyewitness testimony. The intimidation of black jurors whose plight cannot be understood until the tragic history of this prosecution is grasped in its entirety. The obvious discrepancy between Curtis Flowers the person and Curtis Flowers the accused. The Flowers case exposes a troubled system of justice operating in a troubled environment. It’s a story that matters to us all (whether we realize it or not). 1. There is no meaningful evidence. Curtis Flowers is accused of having shot his ex-employer, Mrs. Bertha Tardy, and three other employees in the back of the head. The gruesome crime brought unspeakable grief to the families of the victims and to the entire Winona community. Two hours after the crime scene was discovered, Curtis Flowers was the prime suspect. In fact, he was the only suspect; no other theory of the crime was ever pursued. The motive in the state’s theory relates to a pedestrian event that occurred two weeks before the murders. Several golf cart batteries fell off the delivery truck Curtis was driving. Proprietor Bertha Tardy told Curtis she would probably deduct the cost of the damaged merchandise from his first paycheck. Then Ms. Tardy gave Curtis a $30 advance on his salary and told him to enjoy the Fourth of July celebration. Curtis didn’t return to work on July 5th. When he called in a few days later, Ms. Tardy told him he’d been replaced and that she had used the remainder of his meager earnings to cover the cost of the damaged batteries. No one questions this chain of events. Prosecutor Doug Evans insists that Curtis was so enraged about losing his job and $80 in wages that he stole a gun from a parked car, walked the mile to Tardy Furniture, murdered four innocent people execution-style, raced home, and went about his business as if nothing had happened. Evan’s theory raises many questions. All four murder victims at Tardy Furniture died from a bullet to the back of the head fired at close range. It is asserted that a single gunman committed the four execution-style murders. But would four people (including a 42 year-old man and a star athlete) wait passively as a single gunman moved from victim to victim? Investigators have found this unlikely. There was no sign of flight or struggle inside the store. The murder weapon, according to the state’s theory of the crime, was stolen from the car of Doyle Simpson, a part-time janitor working at the now-defunct Angelica garment factory. No one has ever explained how Flowers knew a gun was locked in the glove compartment of Simpson’s Pontiac Phoenix. It is illegal to carry a gun to work so Simpson was unlikely to advertise the fact. And he has repeatedly testified that the normal resting place for the weapon was under his mattress. It took no less than nine months for investigators to produce eyewitnesses willing to testify that Curtis walked the mile route to the Angelica factors, returned home to his duplex apartment, and then walked to the Tardy Furniture store. Why was it so difficult to obtain eyewitnesses when Curtis would have been in full view of residents, pedestrians and motorists for well over forty-five minutes. I have walked that route repeatedly at all hours of the day, and have always been noticed by at least thirty people walking, standing around, driving by in cars, or sitting on their front porches. Police say they found $250 in cash found in a headboard in the bedroom of Mr. Flowers’ apartment and theorize that this was what remained of the $300-400 allegedly stolen from the furniture store. This is an unproven assumption, not evidence; a majority very poor day workers keep available cash at home because they rarely open bank accounts. Questioned by police three-and-a-half hours after the crime, Curtis said he got up at 6:30 and made two visits that morning, testimony that has been corroborated by witnesses. Interviewed two days after the crime, Curtis remembered waking up later, at 9:30. Prosecutor Doug Evans has always argued that Flowers changed his story to improve his alibi, but the reverse is true. Curtis’ first story provided a partial alibi; given the time frame of the murder, his second version deprived him of an alibi. Unemployed people rarely get up at the same time each morning, and Curtis may have confused two recent mornings. Again, this is not evidence. When police questioned Flowers four hours after the murders, they found a single particle of gunshot residue (GSR) on the back of his right hand. Gunshot residue is so easily picked up by incidental contact in police cars and police stations that the FBI finally stopped GSR testing. Forensics experts report that a particle or two of GSR is meaningless, especially if, as in the case of Flowers, the test is conducted in a police station on a suspect who rode to the interview in a police car. Yet, when Curtis went to trial in 2010, Judge Joseph Loper allowed the GSR test into evidence. Predictably, reporters (and, perhaps, jurors) mistakenly interpreted the test results as evidence that Flowers had fired a weapon that morning. A single grain of GSR proves nothing of the kind. The state has one meaningful scrap of physical evidence: a bloody footprint discovered in a pool of blood beside one of the murder victims. The state crime lab traced the print to a size 10.5 Grant Hill Fila running shoe and a shoe box for a size 10.5 pair of Grant Hill Filas was discovered in a chest of drawers in the bedroom of the apartment Flowers shared with his girlfriend, Connie Moore. Connie has repeatedly testified that she purchased a pair of Grant Hill Filas for her son, Marcus, because they were the hottest selling shoe in the country in the summer of 1996 and every kid wanted a pair. According to Connie, Marcus took the shoes with him when he moved in with his biological father and when he outgrew them (he now wears size 12), he threw them in the garbage. Whatever the case, the shoe box was filled with Christmas ribbons when she gave it to police officers and Mr. Flowers’ fingerprints were not found on the box. The state emphatically rejects Ms. Moore’s testimony. But the shoe box evidence, coupled with the fact that Curtis Flowers was a former employee at Tardy Furniture, was enough to make him a person of interest in the investigation. But is it that much of a coincidence that a box that once contained the most common size of the most common shoe in America would turn up in the home of the state’s prime suspect? There are coincidences in every case and they only constitute evidence in the context of a case that is otherwise strong. When a shoe box is all you’ve got in the way of physical evidence, a coincidence is just a coincidence. 2. By any standards, the Investigation was woefully deficient. Curtis Flowers became the only suspect less than two hours after the crime scene was first discovered. According to investigator John Johnson’s testimony, Roxanne Ballard, the daughter of slain proprietor Bertha Tardy, found a check made out to Curtis Flowers for just under $80 (it seems she had second thoughts about taking the ruined batteries out of his check) on a desk in Bertha’s office. Ballard took one look at that check and concluded that Curtis was the gunman. Investigators admit they have no evidence that Flowers was dangerous apart from Ms. Ballard’s recollection that her mother once told her she was afraid of Curtis. Ballard never met Curtis personally, and those who saw the defendant and Bertha together describe their relationship as pleasant and professional. Most likely, deep grief triggered an intense need for a theory that would lend a shred of meaning to a senseless crime. The result was an illogical conclusion driven by grief and shock. An hour after the carnage was discovered at Tardy’s, a police officer heard that a janitor named Doyle Simpson had been complaining about a stolen gun. Questioned by police, Doyle Simpson said he locked the weapon in his car after having it cleaned by a friend the night before. Shell casings at the murder scene indicated that the murder weapon was a .380 automatic, the same gun allegedly stolen from Simpson’s car. Although the fact has never come out at trial, Doyle Simpson had documented ties to organized crime. His brother, Clyde, had been killed in an underworld hit in New Orleans a decade earlier, and Doyle came within a whisker of sharing the same fate. His throat was cut and he took two bullets in the chest, but, miraculously, Doyle survived. Several co-workers (police can’t say who, exactly) assured investigators that Doyle had been at work all morning and by noon on the day of the crime, Doyle Simpson had been eliminated as a suspect. In the course of a nine-month investigation, few notes and no official reports were filed on Doyle Simpson. No gunshot residue test was performed on the alleged owner of the murder weapon. There seemed to be little interest in exploring alternative theories of the crime once Curtis Flowers became the prime suspect. He was targeted before a shred of evidence connected him to the crime. Yet, beginning with the hapless Doyle Simpson, there were other potential suspects. Nine days after the Tardy murders, two young black men, Marcus Presley and LaSamuel Gamble, were captured by security cameras at a Birmingham pawn shop. Two victims were killed execution-style. While Gamble kept his gun trained on the victims, Presley did the shooting. The weapon: a .380 automatic. Earlier that month, a similar crime had played out in precisely the same fashion: this time one victim died and the other survived. This crime was also captured on camera. The Presley-Gamble murders presented a compelling parallel to the Tardy murders. While both Curtis Flowers and Doyle Simpson were interviewed shortly after the crime, no GSR test was performed on Mr. Simpson. Instead, police asked Doyle to take them by his mother’s home to show them the ammunition he used in his .380. There, police officers say, they dug shell casings out of a post Simpson used for target practice. Once again, we are forced to accept the officers’ word—no report was made and no photographs were taken. Beyond the murder weapon, little solid evidence links Doyle Simpson to the Tardy murders. Like Curtis Flowers, Simpson lacked a compelling motive. If he did the deed, it was as a paid hit man. On the witness stand, Doyle gives the impression of a frightened man, mumbling answers that are fragmentary and evasive. For example, Simpson initially told investigators he had purchased the .380 from his half-brother Robert. The lie was quickly discovered. The gun had actually been purchased, illegally it seems, from a local drug dealer named Ike. Simpson told DA Doug Evans that he lied to protect Curtis Flowers (a distant relative). But how could a lie like that help anyone but Doyle, himself? Given the high stakes involved, it was the duty and responsibility of the investigators to consider alternative theories of the crime. Instead, authorities were desperate to place Doyle Simpson’s gun in the hands of Curtis Flowers. 3. Implied threats and false promises were used to elicit eyewitness testimony. Patricia Hallmon was living next door to Curtis Flowers and Connie Moore on the morning of July 16, 1996. Patricia has repeatedly testified that she saw Curtis heading out the backdoor of his apartment. The back door of Flowers’ apartment heads North and the Angelica plant lies due South, but jurors didn’t know that. At the 1999 Flowers trial in Gulfport, Mississippi, Patricia Hallmon’s testimony was challenged by her brother. Odell Hallmon testified that he met Curtis Flowers in Parchman prison shortly after Curtis had been convicted of the Tardy murders in Tupelo. One look at the convicted Flowers at Parchman prison and Odell’s conscience started eating him up. He eventually wrote a letter of apology to Curtis’ mother and to defense counsel describing how he and his sister, eager to cash in on the $30,000 reward being offered for information leading to conviction, decided to play the system. Odell knew his family would never forgive him for betraying Patricia, but said he just had to do the right thing. Odell’s resolve didn’t last long. After several days of non-stop rants from his incensed mother, Hallmon was on the phone to Doug Evans. Not only had he lied on his sister, Odell said, Curtis Flowers had confessed to the murders at Tardy Furniture. This is a favorite ploy of “jailhouse snitches”. If you say you heard the defendant confess, good things happen. Doug Evans gained a conviction in trial one by having two jailhouse snitches make the same claim. Unfortunately for Evans, both snitches recanted their testimony prior to the second trial and Odell offered a compelling substitute. The witness testimony in this case, through the six trials, becomes a kaleidoscope of ever-changing and conflicting testimony, often from the same people. Odell Hallmon was on the stand this week, explaining how Curtis promised to feed him cigarettes if he would lie about Patricia. Like Curtis Flowers, Odell Hallmon has spent much of the last twenty years behind bars; unlike Curtis, Odell has an extensive disciplinary record. Patricia Hallmon was extremely agitated on the witness stand in trial six. At one point she seemed on the verge of leaving the courtroom until Judge Loper reminded her of the consequences. Only after trial did the reason for her agitation become clear: she was under federal indictment for tax fraud. Two years after Curtis Flowers was convicted on her testimony, the state’s star witness was doing a two-year stretch in a federal penitentiary. She is now back in the free world while the man she helped convict sits on death row. Patricia Hallmon’s story is critical to the state’s theory of the state. Take her testimony out of the equation and everything else falls apart. It provided the timeline around which subsequent testimony was constructed. Patricia’s story about seeing Curtis leaving his home just prior to 7:00 am meshes neatly with the testimony of James (Bo-Jack) Kennedy who says he saw Curtis turn off of Hwy 51 and head down the road leading to the Angelica plant. John Johnson stumbled across Bo-Jack Kennedy as he was going door-to-door along the route his theory of the crime suggested. At trial, Kennedy can never remember whom he talked to, under what circumstances, or when the conversation occurred. But he knows for sure he saw Curtis Flowers on the morning of July 16, 1996. Did Mr. Kennedy tell investigators he had seen Curtis the morning of the Tardy murders without prompting; or was he given the gist of Patricia Hallmon’s testimony and asked to confirm her story? We know that John Johnson and police chief Johnny Hargrove showed up on Mr. Kennedy’s doorstep with a picture of Curtis Flowers and a poster announcing a $30,000 reward? Kennedy had no way of knowing his testimony would place a man’s life in danger. He just knew he could get more money than he had ever seen in his life if he said he saw a certain man in a certain place at a certain time. Did Kennedy really see Curtis Flowers that morning, or did he invent a sighting in anticipation of the reward money? How can anyone, including John Johnson and Doug Evans, possibly know? Shortly after 7:00 am, an Angelica employee named Katherine Snow saw a short stranger (she estimated he was about five-foot-six) wearing a cap leaning against Doyle Simpson’s car. The authorities didn’t like this story. Curtis Flowers is five-foot-ten and neither Hallmon nor Kennedy had described a cap. After several harrowing trips to the police station, Snow told investigators the man she had seen was Curtis Flowers. She had lied, she explained, because she didn’t want to find her children murdered. Katherine Snow has never explained how hiding a killer’s identity would protect her children. But so long as she named the right name, her explanation was accepted. Patricia Hallmon says she saw Flowers return home, spend twenty minutes in his duplex apartment, then head out over the hill once more. This time he was wearing a pair of Grant Hill Filas. Shortly after 9:00 am, Curtis was spotted a block away from Tardy Furniture by Mary Jeanette Fleming (an emotionally troubled woman who was once transported to trial from a mental institution). Fleming has testified that, seven months after the Tardy murders, John Johnson picked her up at her job at McDonalds and carried her to the police station. She told the investigator that Curtis Flowers was wearing black dress pants, a white dress shirt, and, although it was one of the hottest days of the summer, a grey sweater. At this point, the police timeline gets fuzzy. Shortly after 10:00, a retiree named Porky Collins saw two black men in front of Tardy Furniture standing on opposite sides of a dusty brown car “as if they was fixing to fight”. The last Porky saw of the men, they were walking in the direction of the murder scene. Mr. Collins reported this story to investigators the day of the crime. A few months later, after being shown a photo array, Collins identified Curtis Flowers as one of the men he had witnessed. All the men in the photo lineup Collins was shown had a similar appearance. Flowers was the unique face on the page and even the officer who assembled the picture lineup admits that the face of Curtis Flowers was considerably larger than the other faces on the page. Defense counsel has frequently challenged the identification, but to no avail. The prosecution has never tried to identify the second man or explain how an ambulatory killer ended up in a car. It probably doesn’t matter. According to the details of his own testimony, Collins couldn’t have arrived on the scene until well after 10:00, long after the bodies were discovered. It is difficult to know when the eighty-seven year-old Sam Jones stumbled across four murder victims in the Tardy Furniture store. Sam had been asked to teach the new hires how to load a delivery truck and Bertha Tardy had called to remind him at about 9:15. Like Porky Collins, Sam Jones died after testifying at the first two Flowers trials. Mr. Jones arrived on the scene sometimes between 9:45 and 10:00 am. This means that Porky Collins arrived on the scene while Mr. Jones was still inside the furniture store or shortly after he had run up the street to report the murders. Collins’ identification of Flowers is undermined by the remarkably suggestive photo line-up he was shown, but there is no reason to discount the essential features of his testimony. Did two would-be customers wander into the furniture store and stumble upon the horrific scene inside? Might one of these men have inadvertently stepped in the pool of blood by the head of slain baseball sensation Bobo Stewart? There is no way of knowing. But the men Porky saw could not have been the murderers. They were nowhere to be seen when Sam Jones arrived at the store and he didn’t see them when he rushed up the street to alert the authorities. Trial testimony indicates that neither Sam Jones nor Police Chief Johnny Hargrove, the first two people at the scene, initially noticed the bloody footprint. Jones is convinced the print didn’t exist when he first discovered the bodies and he could be right. No one kept a record of who was entering and exiting the crime scene until forensic investigator Melissa Shoene arrived at 1:15. Since no contemporaneous records were kept, it is impossible to establish with accuracy when the footprint was first spotted. At about the same time Porky Collins saw two men in front of Tardy Furniture, a young woman named Clemmie Fleming arrived at the scene. Clemmie had missed several payments on her $400 Tardy Furniture account and had received a phone call asking her to come down and make at least a token payment. Clemmie called up a man named Roy Harris who served as an unofficial taxi service in the black community. When Roy and Clemmie pulled up beside Tardy Furniture, Clemmie decided she wasn’t going in the store after all and asked Roy to take her to her sister’s home. That’s when she saw Curtis Flowers running down the street beside Tardys “as if he was being chased”. At the first trial, Roy Harris generally corroborated this testimony. But in the second trial he changed his story, denying that he had driven Clemmie by Tardys that morning. He said he had almost run over a young man who was running across the street before picking Clemmie up and had told her about the incident. Asked about his initial testimony, Harris said he was being harassed by investigators and decided to tell them what they wanted to hear. Whom do we believe? Clemmie Fleming didn’t talk to John Johnson until nine months after the murders. At last week’s trial she said she kept her story to herself until she learned that “a baby was caught up in it”. This was a reference to the sixteen year-old Bobo Stewart. At every trial, Clemmie’s testimony has been countered by several family members, who say she was with them all morning, and by close friends who testify that she has repeatedly admitted fabricating the entire incident. One thing is certain; if Clemmie saw Curtis running away from the crime scene, she kept the information hidden from her friends and family. Prior to each trial, Clemmie’s friends say, she swears she’s going to “do the right thing” this time. But Clemmie is always in the stand when Doug Evans needs her. Sam Jones, Porky Collins and Clemmie Fleming all claim to have been at Tardy Furniture at 10:00 am the morning of the crime. However, they didn’t see one another. The case against Curtis Flowers rests on the credibility of Doug Evans’ witnesses. White people place implicit trust in this odd assortment of men and women; black people tend to be highly skeptical. Imagine that Doug Evans and John Johnson had decided to build a case on Doyle Simpson. If they had walked the route between the Angelica plant and Tardy Furniture with a picture of Doyle in one hand and a handbill advertising a $30,000 reward in the other, could they have found people willing to testify that Doyle walked or drove by their home on the morning in question? Of course they could. It might have taken nine months, but witnesses would have emerged. 4. Curtis Flowers the man and Curtis Flowers the defendant have nothing in common. The prosecution of Curtis Flowers has been driven by sympathy for the victims. The families of Bertha Tardy, Carmen Rigby, Robert Golden and Bobo Stewart travelled to Tupelo and Gulfport for the first two trials in the late 1990s and have attended all four trials held in Winona. Families of the victims and their supporters occupy several rows on the right hand side of the courtroom, immediately under the jury box. Every conviction since 1997 has brought a temporary sense of closure and vindication; three reversals by the Mississippi Supreme Court and two hung juries have reopened ancient wounds. This complex of grief and frustration hangs over the courtroom, suffusing the process with deep pathos. From the earliest stages of the investigation, family members of the victims have been convinced that Curtis Flowers murdered their loved ones in cold blood. District Attorney Doug Evans was one of the first public officials at the crime scene and John Johnson, Evans’ chief investigator, quickly took charge of the unfolding investigation. The traditional separation between investigation and prosecution didn’t apply in this case: the prosecutors did the investigating. From day-one, the goal was to bring relief to the grieving families. At heart, the racial divide in Winona is a disagreement over the character of Curtis Flowers. Those who know Curtis best can’t believe that a good-natured and hard working gospel singer could commit a crime this heinous. The family and friends of the victims believe Curtis is a hard-hearted killer who killed four innocent people in the Tardy Furniture store. Those unconvinced by the state’s case against Mr. Flowers are charged with indifference to the suffering of the victims and their families. Curtis Flowers is a hard man to demonize. He had no criminal record when he was arrested in January of 1997. Incredibly, he hasn’t had a single disciplinary write-up in over thirteen years as an inmate. James Aiken, a corrections expert called to testify during the sentencing phase of the 2010 trial, found it inconceivable that an inmate could endure over a decade of incarceration without getting into trouble. “They can write you up for not making your bed,” Aiken told the jury. Only after sitting down with Flowers was the former police chief willing to believe the clean disciplinary reports. Is a man who never got into trouble before or after July 16, 1996 capable of snuffing out four innocent lives? Those who blame Curtis Flowers for the worst crime in Winona’s history have latched onto a gun accident that occurred in 1986, when Curtis was in the ninth grade. While home for lunch with a school friend, Curtis was playing with his father’s revolver. The gun accidentally discharged and his friend took a bullet in the shoulder. Not knowing what to do, the boys walked back to school. The incident was investigated and ruled an accident. Thirteen years later, when Curtis Flowers became the prime suspect in the Tardy murders, the mother of the wounded boy started writing letters to the Winona Times arguing that Curtis had tried to kill her son. Every allegation ever lodged against Curtis Flowers is accepted as an article of faith by the pro-prosecution side of this controversy. They present Curtis as a drug-abusing, burglarizing, felon-in-the-making from his earliest years. Those who know Curtis best shake their heads in bewilderment when they hear this talk. He has asserted his innocence from the first and has never wavered. During the sentencing phase of the June 2010 trial in Winona, the jury was shown a video clip of a youthful Curtis Flowers singing lead for his father Archie’s gospel group, the Unionairres. Four minutes into the video, Judge Joseph Loper quickly intervened to announce that pizzas ordered for the jury had arrived. The disconnect between the young singer with the microphone and the heartless criminal who had been found guilty after a twenty-seven minute deliberation was painful to partisans on both sides of the issue. The quadruple homicide of July 16, 1996 was the most nefarious crime in the history of Winona, Mississippi. In 1960, a Montgomery County Sheriff received a life sentence for paying two ex-inmates to kill one of his deputies. In 1963, Sheriff Earl Wayne Patridge, his deputies and a Mississippi State Trooper brutally assaulted civil rights leader Annell Ponder at the county jail. As an encore, they forced two black inmates to beat Fannie Lou Hamer with a blackjack for over half an hour. Hamer never recovered from her injuries. But the sheriff paid others to do his dirty work in 1960; in 1964, Sheriff Patridge and his men were caught up in a wave of anti-civil rights hysteria. No one else in the 150 year history of this community has ever snuffed out four innocent lives with such blood-chilling efficiency. This was the act of a person bereft of empathy and conscience. This kind of murder is almost always found at the end of a steadily escalating ladder of violence. Regardless of circumstance or the degree of provocation, the vast majority of human beings would be incapable of such an act. If investigators were looking for someone who fit the profile of a psychopathic killer, Curtis Flowers was simply beyond suspicion. Until recently, the Flowers saga had escaped national media attention. Publicity in the regional press has typically featured plaintive comments from the affected families. The sense of pathos surrounding the case has increased with every hung jury and each Supreme Court reversal. An even-handed feature by the British Broadcasting Corporation in October 0f 2009 signaled a shift in media focus. The June 2010 trial opened and concluded with feature-length articles on the CNN website. As always, the quest for emotional closure provided the human interest hook for this coverage, but voices critical of the Flowers prosecution were also featured. 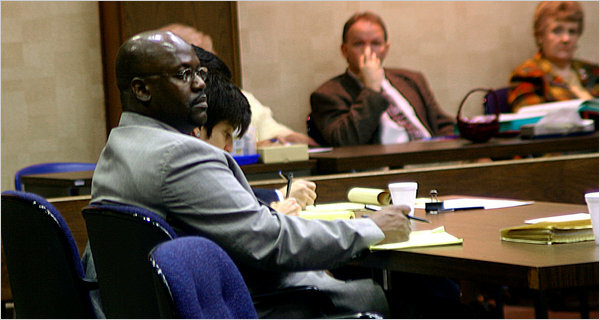 In June of 2010, a Texas-based organization called Friends of Justice attracted over a dozen out of town observers to the unprecedented sixth trial of Curtis Flowers. The affected families were outraged. On the sixth day of trial, three observers were surrounded by a large cohort of people related to the victims. The confrontation opened with innocuous questions about the mission of Friends of Justice but quickly degenerated into name-calling, accusations and thinly-veiled threats. Intimidation tactics were employed throughout the trial. 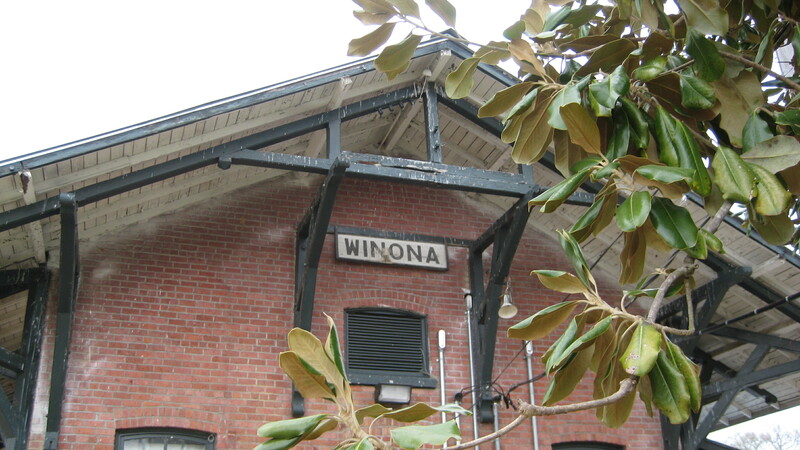 Prosecution critics were treated as if they had come to Winona with the sole intention of dishonoring the grief of the affected families, trashing Winona, and standing up for a man they knew was guilty. While talking on the phone with a supporter during a break in trial, Dr. Alan Bean, Director of Friends of Justice, was approached by a young man shouting insults. A sheriff’s deputy interposed himself between Dr. Bean and his accuser. “Okay,” he told Dr. Bean, “that’s enough; you need to be moving on.” The implication was that Dr. Bean had sparked the confrontation. There was no reference to a driving violation. The following day, defense counsel brought the issue to the attention of the court. District Attorney Doug Evans dismissed Ms. Williams’ complaint as a “bogus” affront to the honor of law enforcement. Judge Loper chastised defense attorneys for turning his courtroom into “a theatre of the absurd” and ended the brief hearing. Two weeks later, when Curtis Flowers was sentenced to die by lethal injection, Lajuanda Williams began to sob uncontrollably and had to be escorted from the courtroom. 5.The illegitimate prosecution of a black juror was used to intimidate potential black jurors. In 2004, when Curtis Flowers was tried in Winona for the first time, prosecutor Doug Evans used every one of his fifteen peremptory challenges to eliminate African Americans from the jury. He still fell one person short of an all-white jury. The Mississippi Supreme Court ruled that Mr. Evans was guilty of racial bias and reversed the conviction. The social climate has shifted remarkably over the past six years. In 2010, African Americans were so eager to eliminate themselves from the jury pool that Mr. Evans got the jury he wanted without resorting to exceptional tactics. Potential black jurors who checked the pro-death penalty box when filling out a pre-trial questionnaire suddenly became staunch opponents of capital punishment. A large group of black jurors claimed they had a fixed opinion of the case and couldn’t be dissuaded by trial evidence. Black jurors with distant social connections to the Flowers family claimed to be incapable of being fair and impartial. Others claimed that, for religious reasons, they were incapable of judging anyone. Some of these assertions were sincere. Many white jurors made similar claims. But black jurors were five times more likely than white jurors to eliminate themselves from consideration. Most white jurors assured Judge Joseph Loper that they could “set aside” their opinions and prejudices about the case. Potential white jurors with intimate social ties to the families affected by the tragedy were absolutely confident that they could be fair and impartial. Judge Loper rejected defense concerns about “implied bias” and took these jurors at their word. In trial five in 2008, eleven jurors, nine white and two black, voted to convict Curtis Flowers. James Bibbs, a black Viet Nam veteran and retired school teacher, held out for acquittal. A white juror slipped Judge Joseph Loper a note accusing Mr. Bibbs of withholding personal knowledge about the crime during voir dire. In open court, the judge accused Bibbs of lying to get on the jury and instructed Mr. Evans to charge the black juror with perjury. After a year of legal wrangling, Judge Loper and District Attorney Evans were recused from the case and the prosecution was transferred to the Mississippi Attorney General’s office. It was quickly determined that there was insufficient evidence to justify an indictment and the charges were dropped. But the damage had been done. No one in the black community wanted to follow in James Bibbs’ footsteps. They had to live in Winona. Is there a final chapter to the Curtis Flowers saga that will please everyone in Winona? Proceed to execution and half the town will charge the State of Mississippi with killing an innocent man. Another Supreme Court reversal will prolong Winona’s agony and spark yet another trial. There is a third way forward. During the recent trial, the defense tried unsuccessfully to qualify Robert Johnson, an expert in police investigations who has served as police chief of Jackson, Mississippi and two other mid-sized cities. Chief Johnson testified that the investigation of the Tardy murders was too inept and procedurally compromised to justify confidence in the outcome. After enumerating a laundry list of concerns, Johnson concluded that the investigation of the Tardy murders was incomplete when Curtis Flowers went to trial in 1997 and remains incomplete to this day. Not only is the investigation of this case incomplete; Curtis Flowers has never been properly defended in a court of law. Over the years, too many questions have gone unanswered; too many leads have been ignored; too many potential suspects have been overlooked and too many alternative theories have been quashed. Winona won’t heal until the investigation of the Tardy murders goes back to square one. We need new investigators, a new prosecutor, a new venue and a greatly expanded defense team. Those with a significant past association to this case should recuse themselves from further involvement. All witnesses should be re-interviewed and allowed to recant past testimony without threat of prosecution. New leads should be developed. Old assumptions should be subjected to rigorous re-evaluation. It will take a national coalition of advocacy groups, pro bono attorneys and privately financed investigators to create a fair, thorough and unbiased legal process for Curtis Flowers. But this case isn’t just about a single defendant in Mississippi; it concerns the integrity of the American criminal justice system. When unethical prosecutors link arms with pain and prejudice, innocent people are sentenced to die. Part of the problem with the coverage, says Kansas City Star columnist Jason Whitlock, is that the national media relied too heavily on Jena According to Alan Bean. In a piece titled “How One Man Fired Up Jena 6 Case,” Whitlock wrote that the media blindly accepted Bean’s story ï¿½ to the detriment of the truth. Why? Because it was easy, he says. Bean knew the media would bite. They did in 1999, when he told them about incidents in his hometown of Tulia, Texas. He exposed a corrupt cop and helped overturn more than a dozen drug convictions against minorities. Tulia was quickly labeled a racist town. “I knew that it was probably the kind of case the media could be talked into covering because it had so many spectacular features: The fire ï¿½ something that was terribly significant that nobody was picking up ï¿½ the nooses and the racial tension. I thought that if the story was framed properly and people could see the connective tissue they could see how one thing led to another,” Bean says. No you had it right news media, Bean is the villain here! Yes, I saw that. Thanks for doing the research. The fellow in Florida, as I understand it, committed multiple murders at different times and places. The most he has gone to trial on the same evidence in a single case is four times. Still, there may be somebody who has gone to trial for the same capital murder charges on the same evidence, I just haven’t come across anyone. I did come across a guy who had been to trial five times on the same evidence and that was regarded as a record at the time (2005 or so). The article in the American Journalism Review was a poorly researched rehashing of claims initially made by Jason Whitlock of the Kansas City Star. By the time Whitlock picked up the Jena story he could only milk it by flipping the script. The idea that a leading reporter like Howard Witt (the first representative of the MSM to cover Jena) would simply take my word for anything is ludicrous. No one will swallow my take on the Flowers case either. Rather than improving race relations, this type of activity sets them back. If anyone actually cares about the residents of a community such as Jena or Winona, they would be extremely careful to research all sides of the issue at hand and present all the facts in a fair manner. Misinformation causes anger and distrust; healing and justice only come with the truth. Not the truth spun by activists with an agenda, but the facts.